Cost. Free delivery on purchases over $50 (inc. GST). For purchases below $50, a delivery charge of $5.50 (inc. GST) is applicable per order. Dispatch. All orders are dispatched ASAP. We use Australia Post eParcel and various couriers. We supply and ship our products Australia Wide. Please contact us if you want us to ship overseas. Delivery Time. As a general guide, deliveries to major cities and towns take 1 to 3 business days (if ordered before 2 pm), whilst it can take up to 5 days for some areas. Delivery times are indicative only. We do not accept any liability for failure to meet the scheduled delivery times or any inconvenience caused as a consequence. Delivery. Deliveries can only be made when a signature to verify the delivery can be obtained. The best addresses are where someone is home between 7 am and 6 pm weekdays, or a business address which is open during normal business hours. Usually, if the delivery cannot be made, Australia Post and couriers will leave a note to make another appointment or for you to pick up that item, but this cannot be taken for granted. 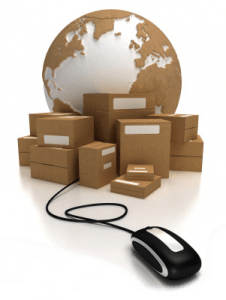 If delivery cannot be made, you will be responsible for any delivery fees incurred, even though you may not receive the item. So please make sure someone is available to sign for the delivery. Express Service. Call us on 08 9528 1958 for express service. This may incur additional cost. Out of Stock. If any item on your order is out of stock, we will contact you (by e-mail or phone) within 24 hours (normal business days) and give you an estimated delivery date, as well as the option of waiting for your items or receiving a full refund. We apologise in advance for any inconvenience this may cause.